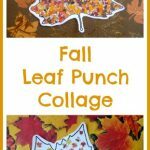 This real leaf collage is made using paper punches to combine as many fall colors onto one collage as possible! 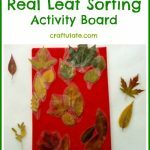 So this real leaf collage combines elements from all four previous activities! 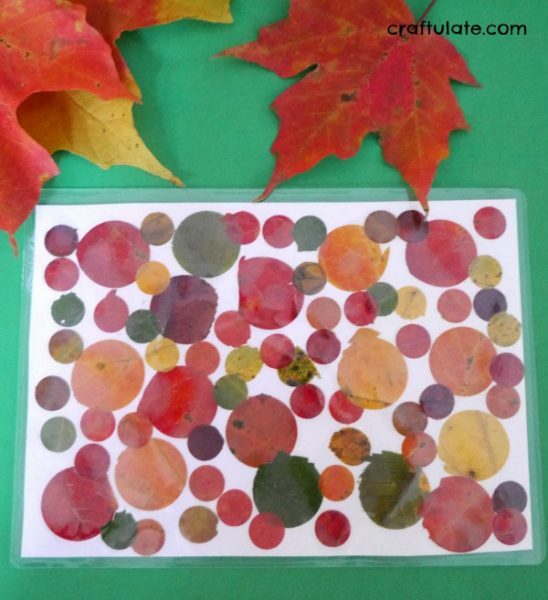 After collecting our leaves, we set about punching circles from them. 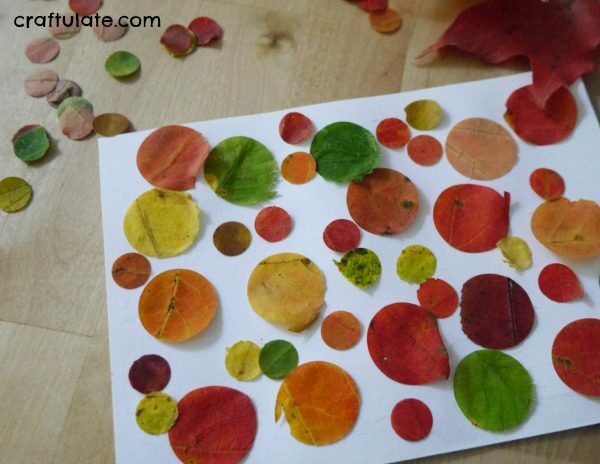 Feeding the leaves was actually quite tricky, so I did this while my son punched out the circles. 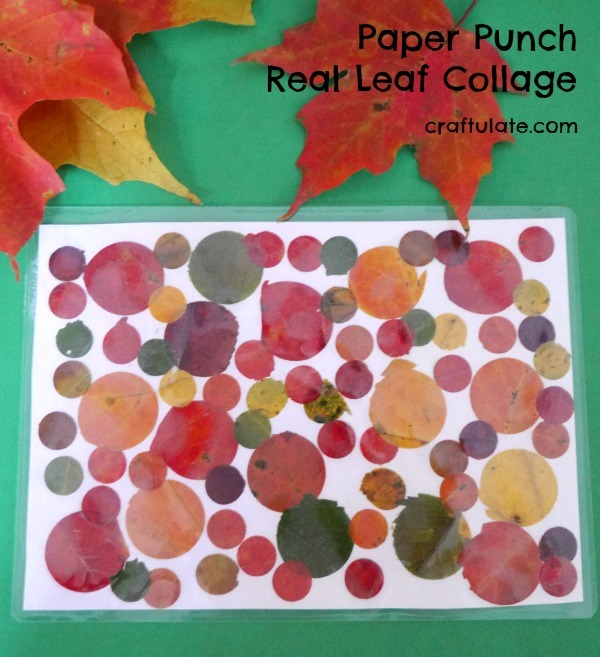 The punched leaf circles looked like pretty confetti! 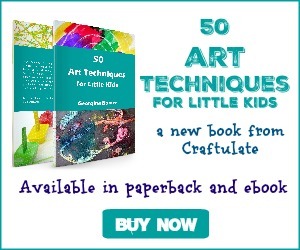 Then we glued them onto the white card. I carefully slipped the collage into a laminator pocket, and ran it through the laminator. F loved watching this part! 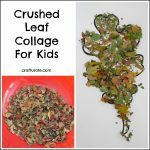 And here’s the preserved real leaf collage!